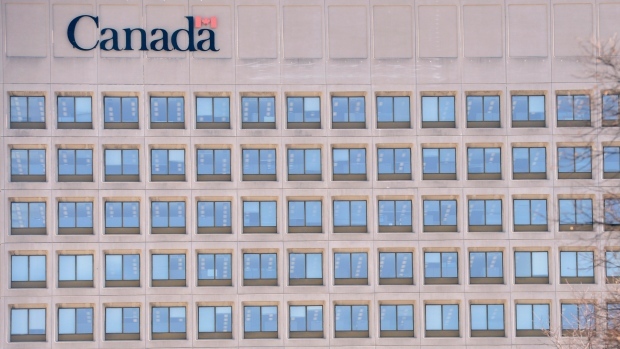 OTTAWA -- The Defence Department's procurement chief says he is having a hard time finding experienced personnel as he hires hundreds of new employees to help untangle the snarled military purchase system. "There's numbers, but there's also kind of knowledge and experience," said Patrick Finn, the assistant deputy minister of materiel at National Defence. "And I can grow the numbers and I'm doing that. The issue for me is actually getting the experienced workforce and getting the knowledge and expertise to do it." A shortage of procurement expertise has been cited by defence officials and experts as one of many problems impeding efforts to buy billions of dollars worth of new military equipment such as fighter jets and warships. Officials say the procurement section currently has 4,155 employees. That compares with around 9,000 people in the 1980s, according to a report published last year by the Conference of Defence Associations Institute (CDAI). Many of those who left in the late 1980s and early 1990s were among the most experienced officials, the report said. "Those who remained had fewer opportunities to practise their skills than before, given the new and relatively sparse rate of acquisitions." There have also been concerns in recent years about burnout and low morale among procurement staff as the number of complex projects has increased. The Liberals touched on the issue during last year's election campaign, promising in their platform to increase the capacity of the department's acquisition branch "to ensure that projects avoid the bottlenecks that have plagued our armed forces." Finn said he is planning to increase his workforce by about 10 per cent over the next year, which will include introducing a new generation of procurement experts to defence. "But they're not going to be my project managers and project engineers for major capital projects," he said. "We are in the process of growing. I don't have any limits on me in that respect. It's about building that expertise, which is really key." Former defence procurement chief Alan Williams said the "insanity" that has prevented the military from getting new equipment can be traced back to a lack of experience among its staff. "The procurement fiascos over the last decade are clearly stuff that either inexperienced people have been proposing, or inexperienced people have not been able to negate the direction if it did come from above," Williams said. "Experience is absolutely vital." While there is no easy solution, retired colonel George Petrolekas, a senior fellow at the CDAI, said Canada should learn from other countries such as France and the Netherlands to develop -- and keep -- the type of expertise needed to manage multibillion-dollar military projects. The problem, he said, is that the current system involving myriad checks and balances is designed more for avoiding political controversy than actually making decisions. The government is expected to announce plans for replacing Canada's aging CF-18 fighter jet fleet in the fall, as well as start a bidding process for the construction of new warships. -- With reporting from Michael Tutton in Halifax.